The food in the Texas Hill Country is all over the place. Some places have a nice southern comfort type of thing going. 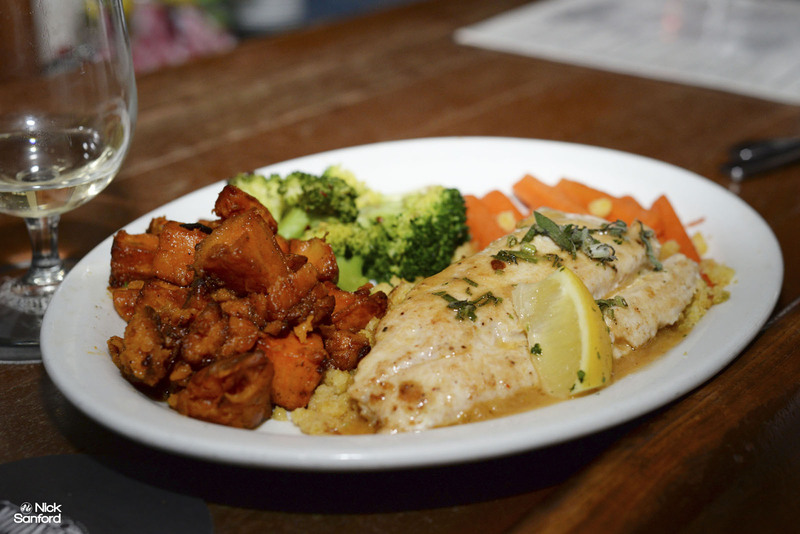 Some places have a fusion of breakfast and dinner clashing with one another for a nice mix. There are German influences in towns like Fredericksburg, and the creative places you find in Austin. Moonshine has been my favorite dinner restaurant in Austin Texas for quite a while. 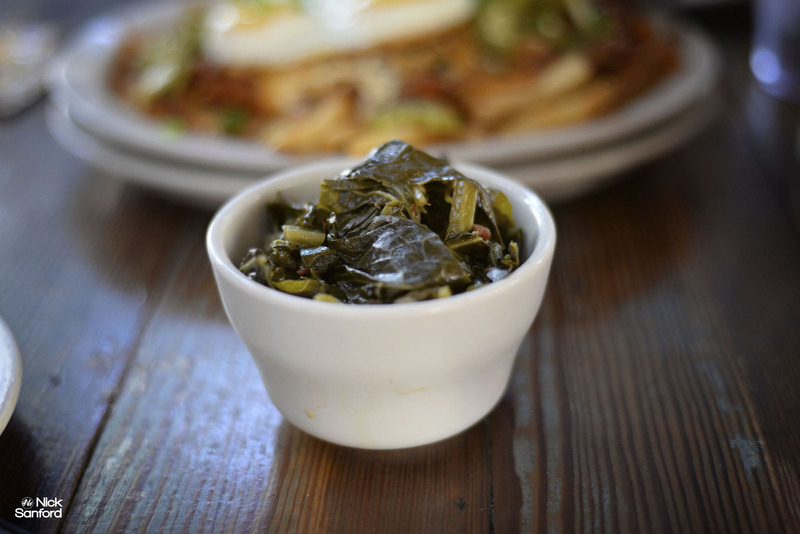 Moonshine is an all American comfort food restaurant. The cornbread muffins are really scrumptious to have as a starter when you first sit down. 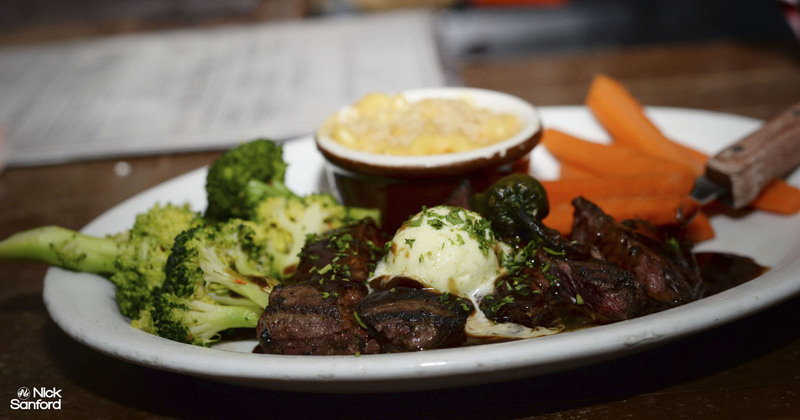 We had the Cowboy Rubbed Flat Iron Steak with smoked cheddar butter and shiner bock sauce. I’ve eaten that twice now, and it was just as good the second time around. The taste of the steak was a little different than your typical rib eye or a filet mignon that is a lot more frequent in Texas restaurants with beef. The Seared Rainbow Trout with bacon cornbread stuffing & chili sage butter was an excellent dish as well. There is a nice atmosphere in this restaurant and it’s right near a lot of the bars and clubs near 6th street where a lot of nightlife takes place in Austin Texas. 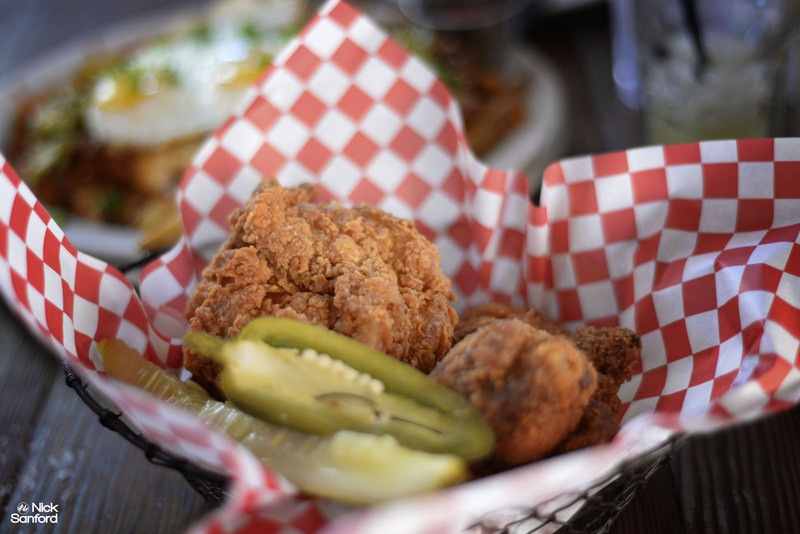 Here are a few images of some of the food we enjoyed at Lucy’s fried chicken in Austin TX. The chicken is really popular around Austin and well known. I didn’t find it to be all that different than a lot of places, but fried chicken is still fried chicken. You don’t go there for fried chicken though. You go there for the fried chicken and all of the other fun plates this place gives you like the deep-fried deviled eggs, and all of the oyster dishes they play around with. This is a place you visit when you want to get that urge to eat bad unhealthy foods out of your system and you don’t look back. You simply enjoy the moment with a smile on your face. Below is an oyster Rockefeller, which was a special they had when we visited that wasn’t on the menu. 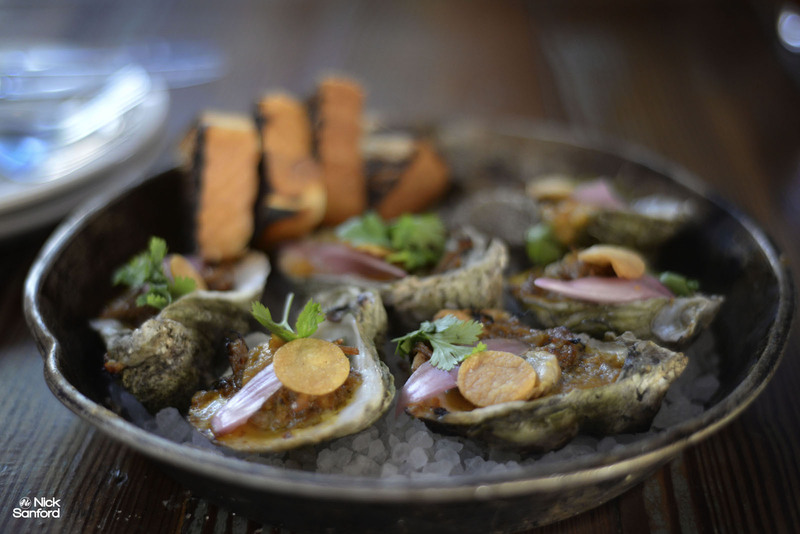 It was really good, but I think I liked the regular oyster dishes like the Diablo a little better. The Collard Greens were really tasty and went well mixing some green vegetables with the fried food. 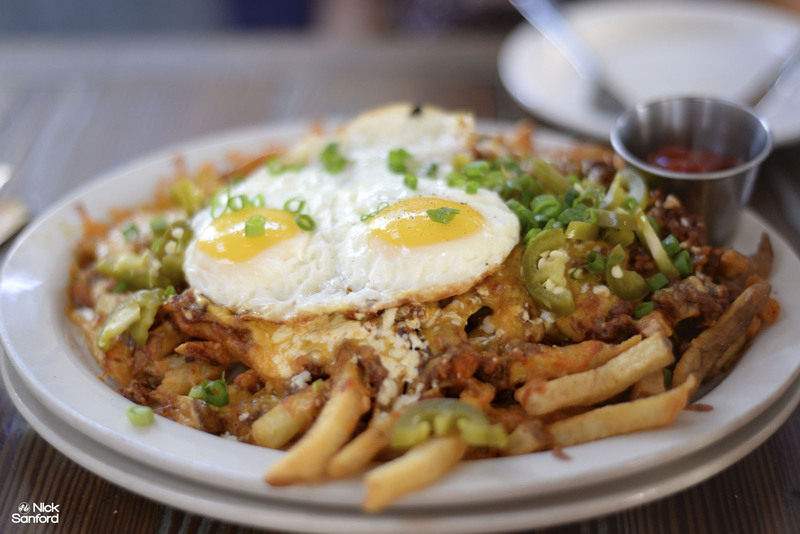 The Hangover Fries were a punch to the liver in the best way possible. That may sound intense, but it was extremely satisfying. I’m a sucker for crispy French fries and anything with sunny side eggs on top. This dish delivered in every way possible. Don’t pass up Lucy’s Fried Chicken if you’re hungry and you feel like getting crazy. South Congress was another place I had a nice meal at. 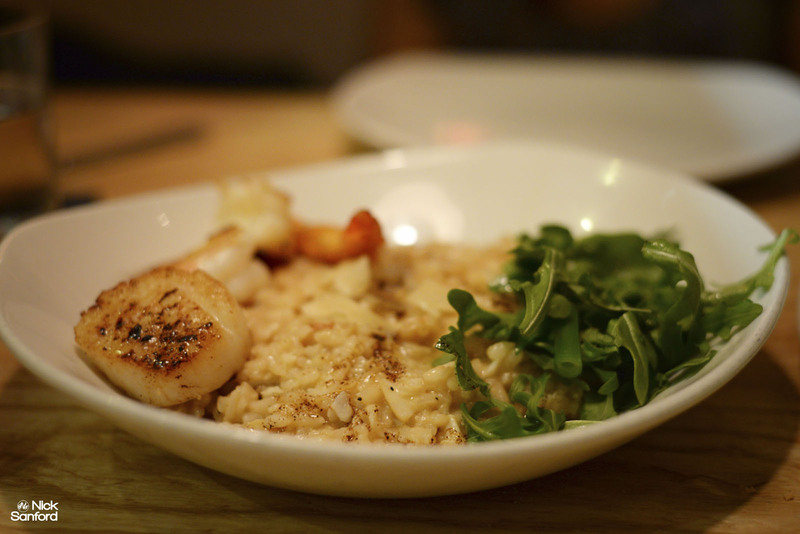 The Pan Seared Scallops over risotto was delicious. The crab cakes could have had a little more crabmeat and less bread, but the dish itself was really good. I’d order it again. 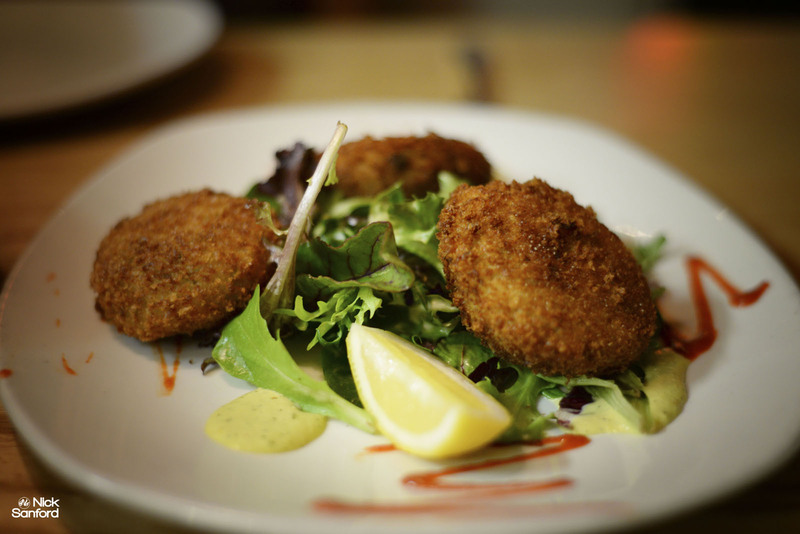 I liked the blend of the salad with the crab cakes. 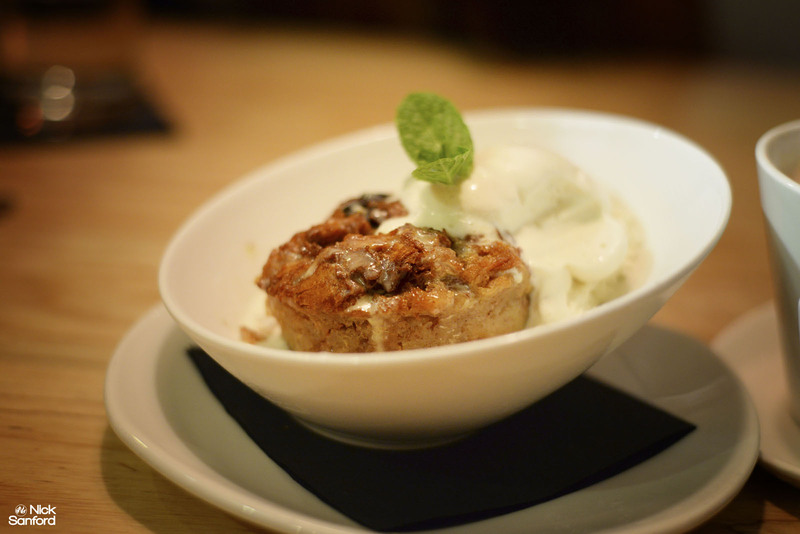 The bread pudding was a nice classic style bread pudding with vanilla ice cream. I’d give all three of these places a look if you venture into Austin Texas at any time. They have a ton of great food trucks to check out as well when you are looking for food on the go.